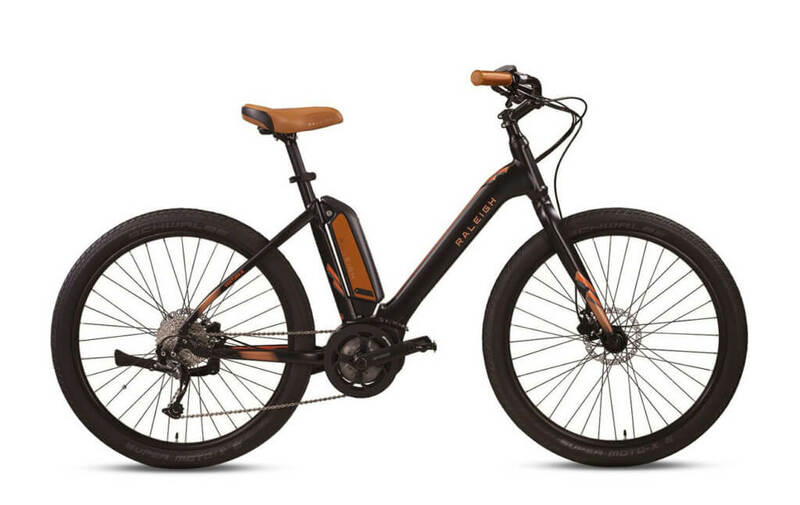 The Raleigh Venture iE Built on a lightweight aluminum frame, this electric bike features a low step-through design to make getting on and off the bike an effortless affair. 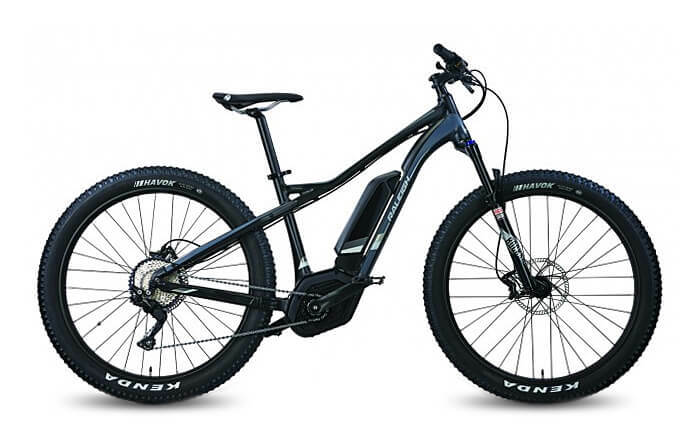 The Bosch Active Line motor works with your natural pedaling to provide gentle acceleration up to 20mph, so you can get out more often and feel refreshed on every ride. An adjustable stem lets you customize the handlebar position for optimal comfort. The 27.5-inch wheels are easy to maneuver and keep your center of gravity low. They’re shod with wide Schwalbe tires for added traction and control. Regain your sense of freedom and glide smoothly down the road on the Venture iE. 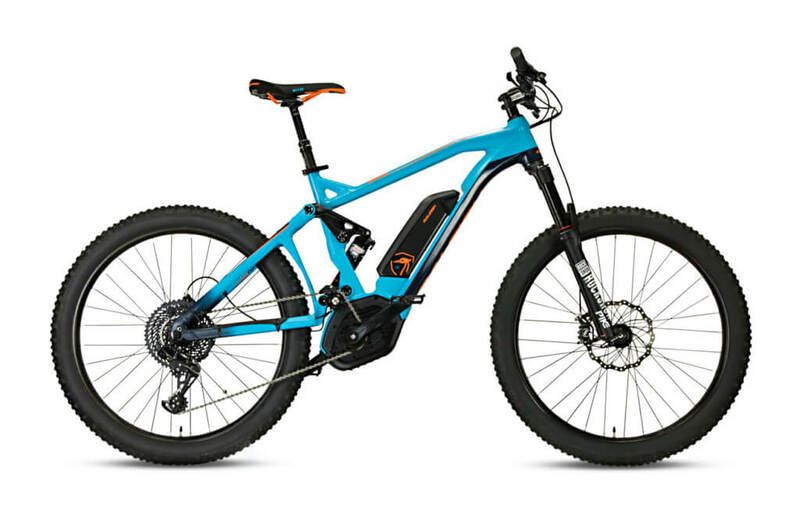 Frame: The Raleigh Venture iE equipped with Fully Formed Lightweight Aluminum Alloy 6061 T6, Nested ST Battery and It has a high strength to weight ratio and is highly resistant to corrosion. 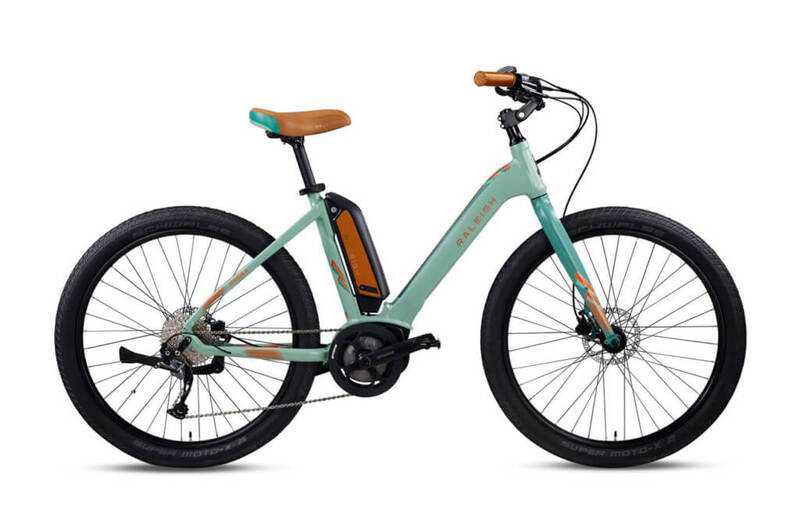 Drivetrain: The Raleigh Venture iE features aBosch Active Line 250W, 20 mph, a Shimano Alivio SGS rear derailleur and Shimano Alivo, 9 Speed shifter. 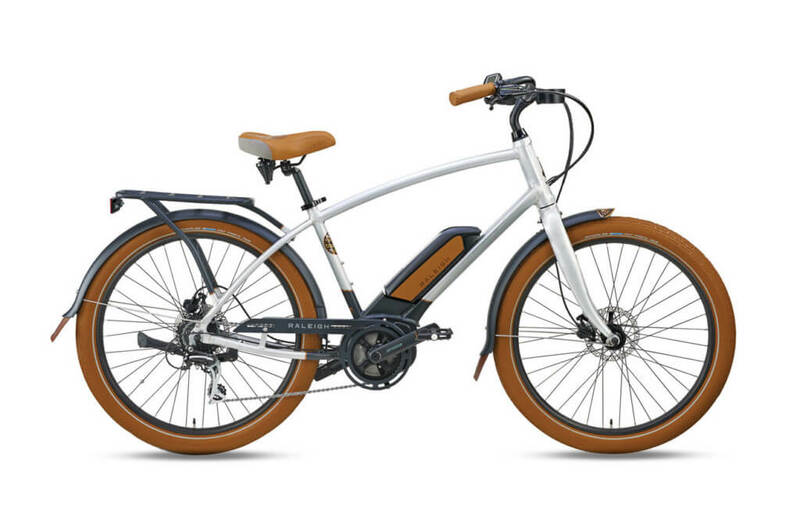 Top Speed: The Raleigh Venture iE provides speed with a top speed of 20 mph. The power comes from Bosch Active Line 250W. Tires: The power meets the ground with Schwalbe Supermoto X 27.5 x 2.4 tires and Alloy double wall disc rims. Accessories: It also comes with Kickstand and Massload. Our team has a lot of experience outfitting bikes with additional accessories, so be sure to reach out to us if there’s anything you may need.